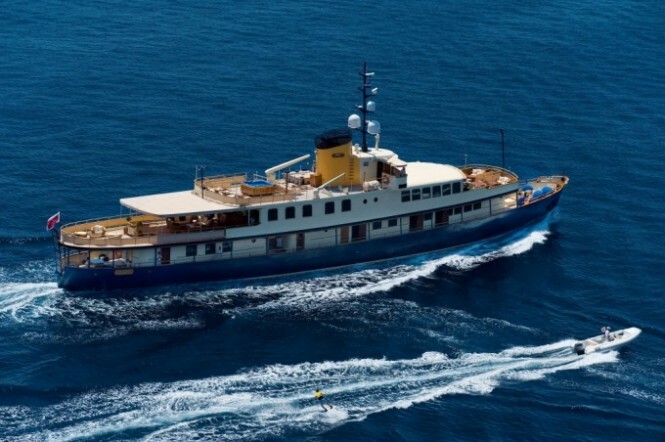 Measuring 54 metres, the unique luxury superyacht SEAGULL II with a rich history is currently offering a special rate of EUR€119,000.00 per week plus expenses for vacations in Croatia, Montenegro and the rest of the Eastern Mediterranean. The offer is valid for holidays taken inJuly and August for up to twelve charter guests accommodated in seven deluxe cabins. When SEAGULL II was originally constructed she was launched in 1952 as one of the yachts belonging to the ‘Six Poets’ series and named after a famous Croatian author, Vladimir Nazor. She served for 50 years as a coastal passenger ship connecting today’s important holiday spots such as Dubrovnik, Rijeka, Kotor, and Split. Following her service as a passenger ship, she then served as an excursion vessel between Istria and Venice. 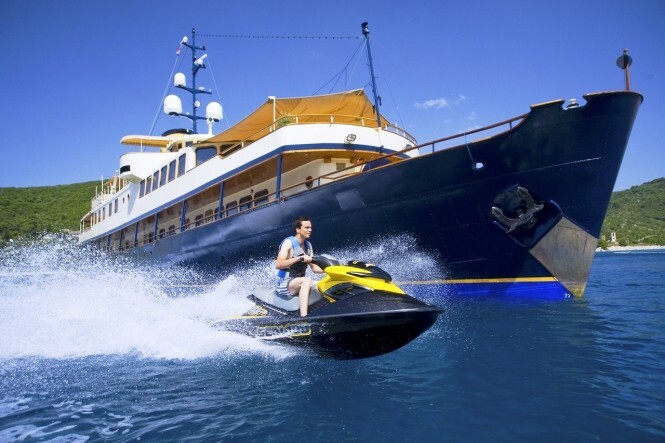 In 2004, her new owner decided to completely renovate her and transform SEAGULL II into the beautiful and head-turningluxury vessel that she is today. Staying true to her history, SEAGULL II boasts stunning interior decoration with the patina of the past times and elements of the beautiful Art Nouveau era, with the first signs of the coming Modernism. 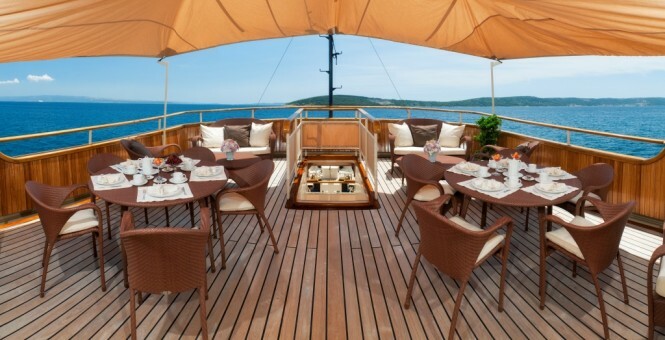 Accommodation layout comprises seven lovely staterooms that include a beautiful VIP apartment located on the main deck. This apartment consists of two rooms, one with a queen-sized bed and one room with twin beds. Both rooms have their own bathroom with a shower. This arrangement is not only ideal for families with children. 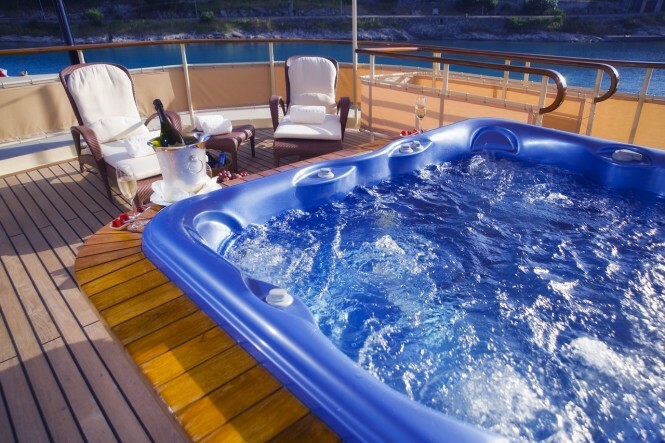 The lower deck boasts a master stateroom also consisting of two room with queen-sized beds and a large common bathroom with Spa Pool and a shower cabin. 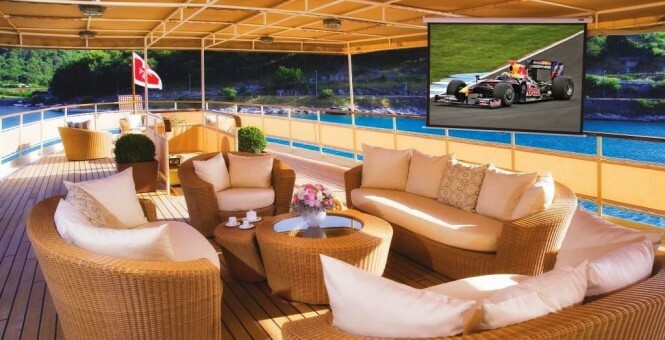 In addition, there is a twin cabin and two double cabins both with queen beds and equipped with Satellite TV, DVD, CD and stereos for entertainment. 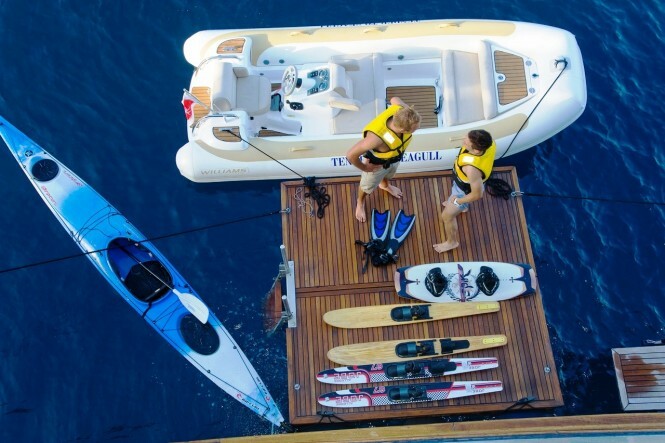 To fully enjoy your summer holiday in Croatia and Montenegro, SEAGULL II has been equipped with a great selection of toys for various fun activities: two custom tenders, a speedboat for waterskiing, sea kayak, wave runner, a bathing platform, water skis for children, snorkelling equipment, exercise bicycle, a rowing machine, a Playstation and a computer with wireless internet access.